Bike travelers approach Snoqualmie Pass on the John Wayne Trail. We’re #1! Not only has Washington been the #1 Bicycle Friendly State in America 7 years in a row — we’re also #1 for great trails. And that’s not just our claim; the numbers bear it out. Our trails offer outstanding riding whether you’re on your way to work or to the next town. Coupled with the US Bicycle Route System in the state, the future development of state scenic bikeways, and growing bike infrastructure in our towns, our vision of a complete, comfortable connected bike network all over the state moves closer to reality all the time. If you care about trails, don’t miss the advocacy tips at the bottom. Sign up for our e-news to stay connected to trail developments. 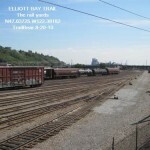 Longest @railstotrails in US, most rail-trail miles in the West: WA! According to the Rails to Trails Conservancy. John Wayne Pioneer Trail, 253 miles. From high trestles and dramatic views in the Cascades to the quiet dry side in eastern Washington, the John Wayne Trail offers an amazing getaway. 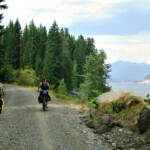 On my #bikeit list: John Wayne Pioneer Trail to bike away from it all. The trail needs work, though: A fire summer 2014 damaged trestles and a 22-mile section is currently closed. We’ll be an advocate for repairs and reopening, working with Washington State Parks as the lead agency. Again according to the Rails to Trails Conservancy, which tracks trail mileage by state, Washington has far more rail-trail mileage than any other state in the West. Most @railstotrails miles in West in WA, #1 Bike Friendly State. Spring 2014 we announced the official federal designation of USBR 10, which runs across the northern tier of Washington from Newport in the east to Anacortes in the west. Our partners at WSDOT celebrated with us at a ribbon-cutting in Anacortes Sept. 13. Our USBR 10 page includes a Google map of the route. 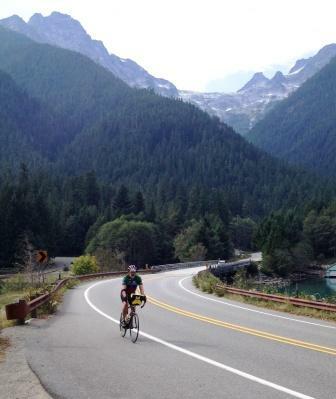 On my #bikeit list: 1st @usbicycleroutes on West Coast/USBR10 in WA. 2.2%: The percentage of the US population in Washington state (6.971 million out of 316.1 million). 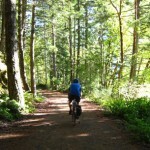 4.9%: The percentage Washington’s rail-trails represent of the national total (1,057 miles out of 21,447 total). In other words, we have more trail miles and fewer people. 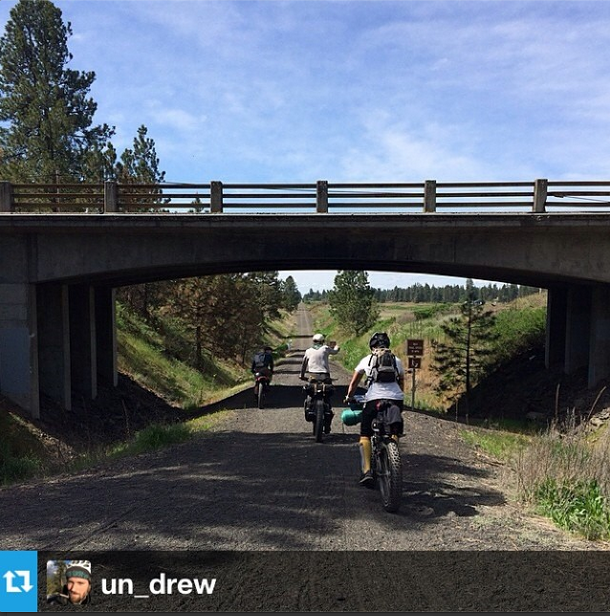 Cyclists explore the Columbia Plateau Trail. Columbia Plateau Trail State Park is #6 on the list of longest rail-trails in America, at 130 miles, and offers wonderful wildlife viewing. From Spokane the Fish Lake Trail, another rail-trail, takes riders part of the way to Cheney; the rest of the connection to the Columbia Plateau Trail is on the road. On my #bikeit list: Columbia Plateau Trail @WAStatePks #6 longest @railstotrails in US. Sign up for our e-news to make sure you get all our trail and bike travel updates. Support our advocacy so we can work for the John Wayne Trail repairs and other great trail projects around the state. Show how your trail is part of a larger local, regional, or even statewide network. That makes each segment more valuable. As one example, the Fish Lake Trail connects to the Columbia Plateau Trail which connects to the John Wayne Pioneer Trail which connects to the Mountains to Sound Greenway Trail which connects to the Burke-Gilman Trail which connects . . . you get the picture. Use the power of bike tourism to illustrate why the trail matters to more than just people who bike or walk. Bikes mean business and trails serve as destination attractions. Share information on your trail project with whatever organizations market your town as a great place to live, work, and visit. Keep them posted on project milestones and opportunities to demonstrate their support. Stay in touch with local transportation planners and agencies. A trail is part of the regional transportation system. It’s not just about finding funding; they can also share news about progress, events, and volunteer opportunities. Don’t be afraid to tell people your project has hit a speed bump. Use it to rally support. Take lots of pictures at every phase and share them on social media. Pictures get passed along more than just text. We can help; send your pictures to Louise and we’ll share them on Facebook, Twitter, Pinterest, and Instagram. If you’re sharing, tag #WAbikes. Tell WA Bikes about your project! We’ll highlight it here to build support. We’ll tell your story to your state legislators as an illustration of why we need more investment in healthy, safe places for people to bike and walk. Trail funding is always on our legislative agenda. How to promote your trail project: Tips for trail advocates. 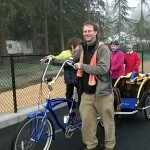 Have a great story about biking one of Washington’s trails? We’d love to publish your guest post. Contact Louise. What’s your #1 favorite trail in Washington? Comment below to share it with others. This article was posted in Adventure, Infrastructure, News, Tourism, Trails, Travel, USBRS and tagged Columbia Plateau Trail, Fish Lake Trail, John Wayne Trail, usbr10, usbrs. Bookmark the permalink. Follow comments with the RSS feed for this post. Both comments and trackbacks are closed. This can’t be accurate at all. If Washington is number one then we must be in real trouble even more than I imagined. Seattle has one of the crappiest bike networks I have ever seen. The political will is driven by bloated egos looking to make another friend in city hall or down in Olympia so they can continue their career spending our money as carelessly as they have been to date. I’m surprised that Minnesota isn’t on that list. They’ve got lots of trails. Maybe it’s “in the west” enough for you.